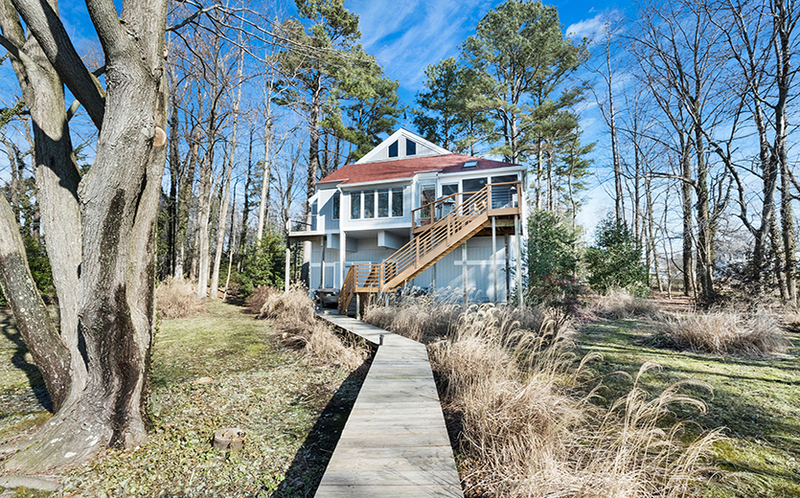 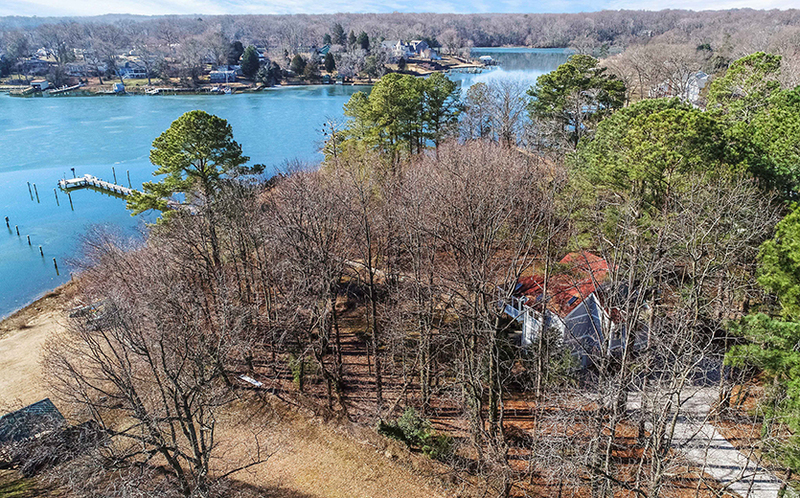 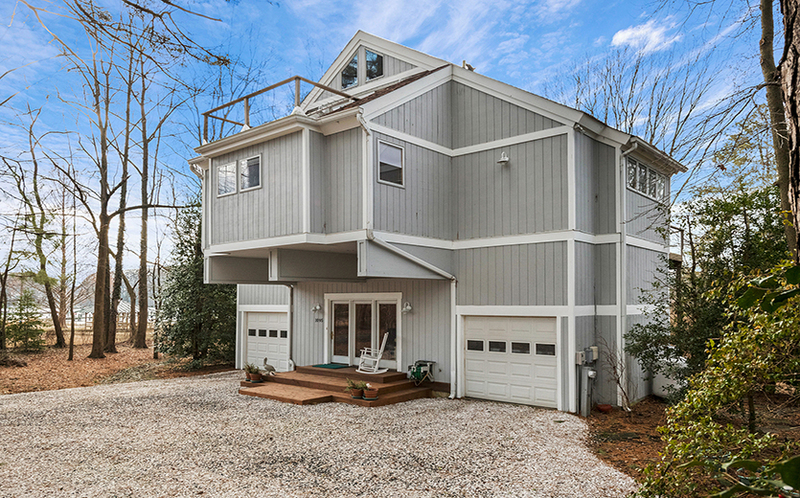 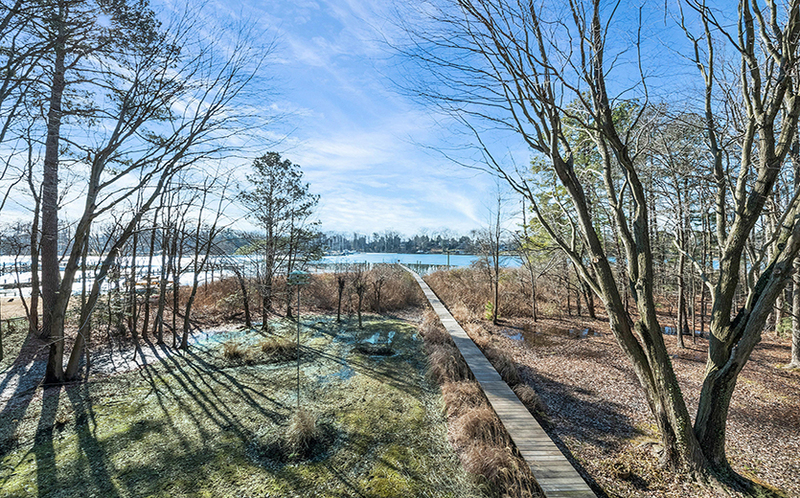 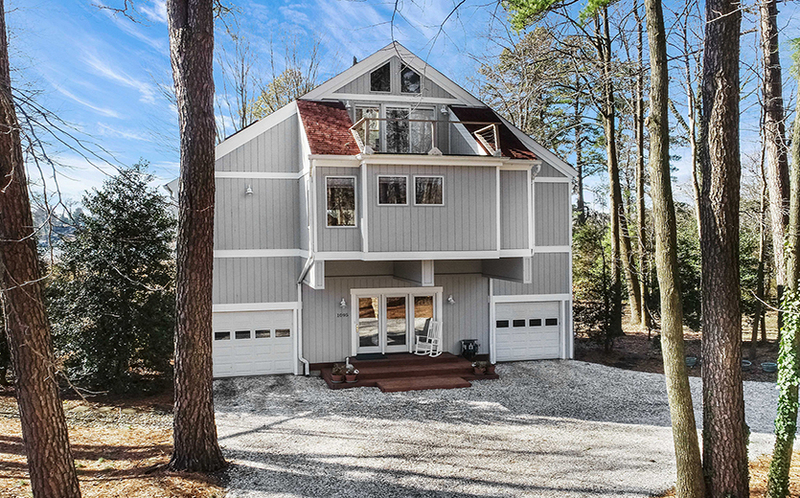 1095 Grandview Drive is a custom designed waterfront home situated on a private 1.18 acre lot on Whitemarsh Creek. 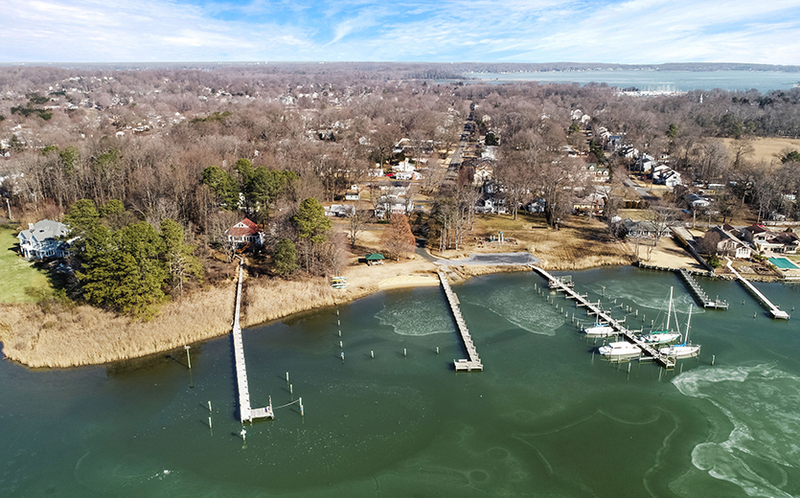 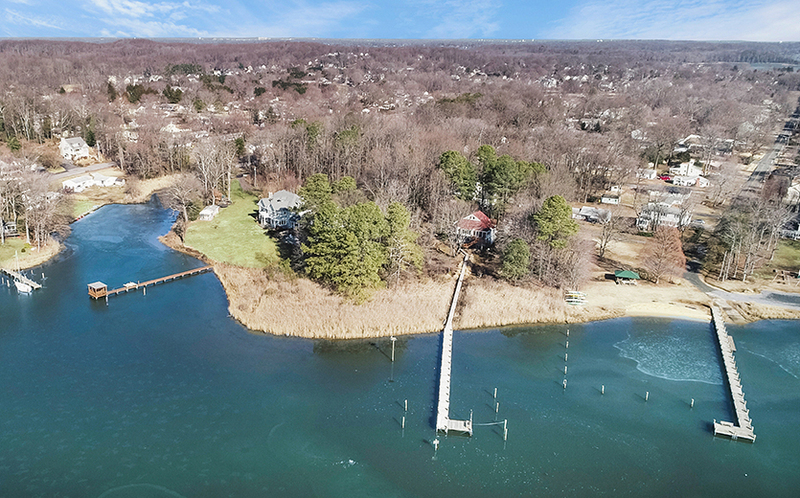 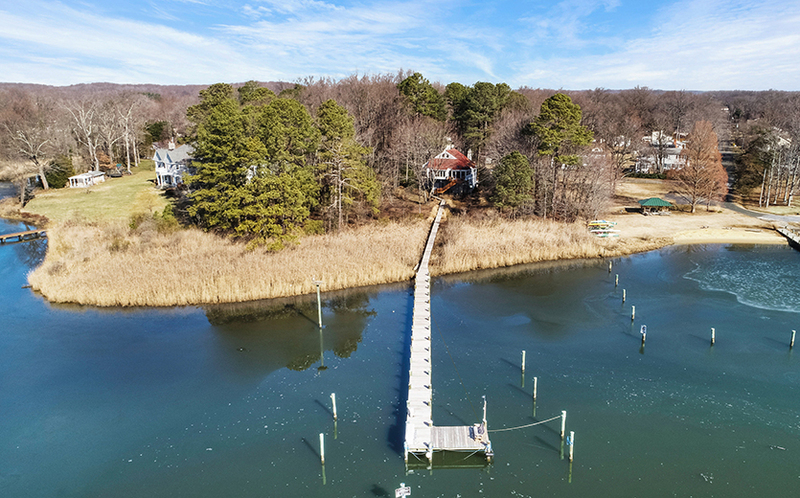 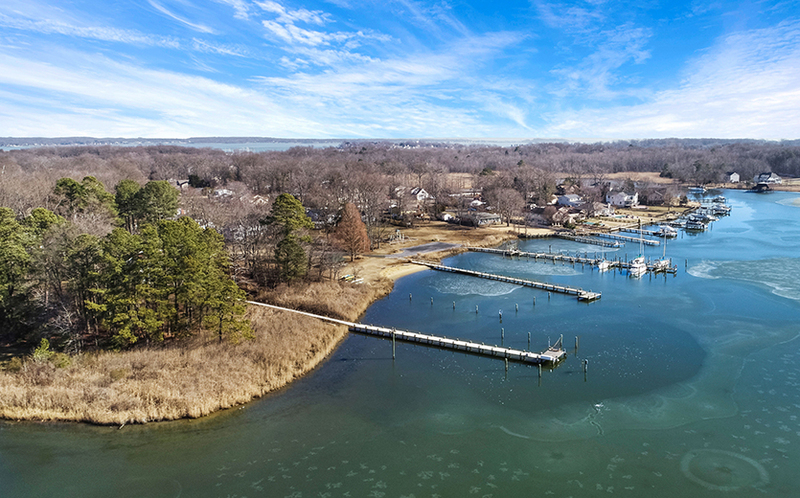 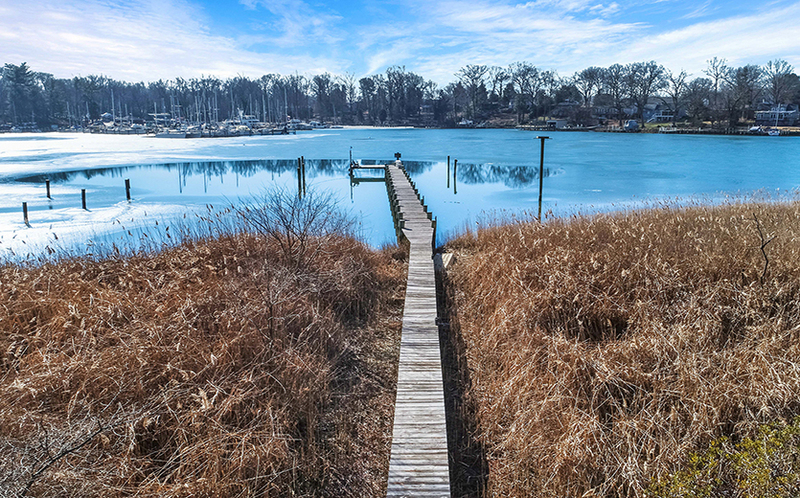 The private, deep water pier has 5 boat slips, and provides easy access to the Rhode River and out to the Chesapeake Bay. 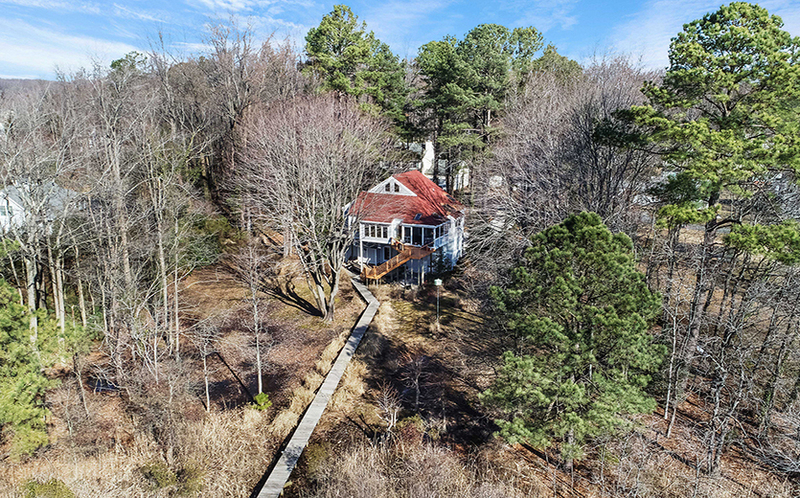 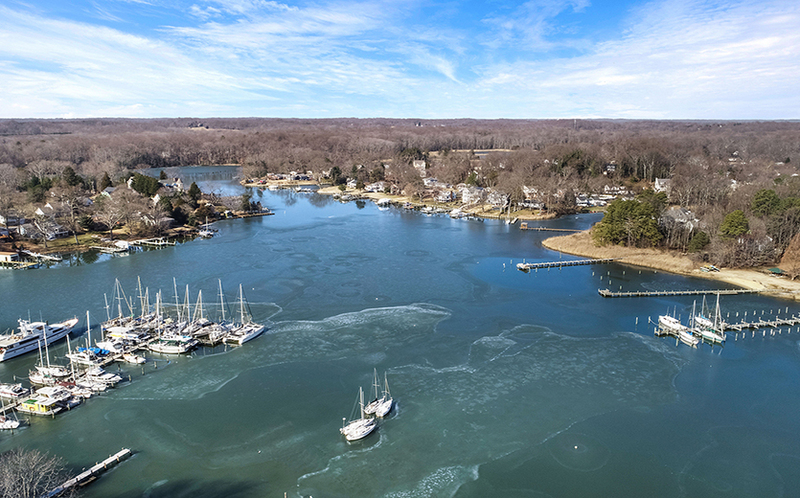 By car, you’re just a 15 minute drive to downtown Annapolis, and a close commute to D.C. or Baltimore making this location perfect for year-round living or a weekend getaway. 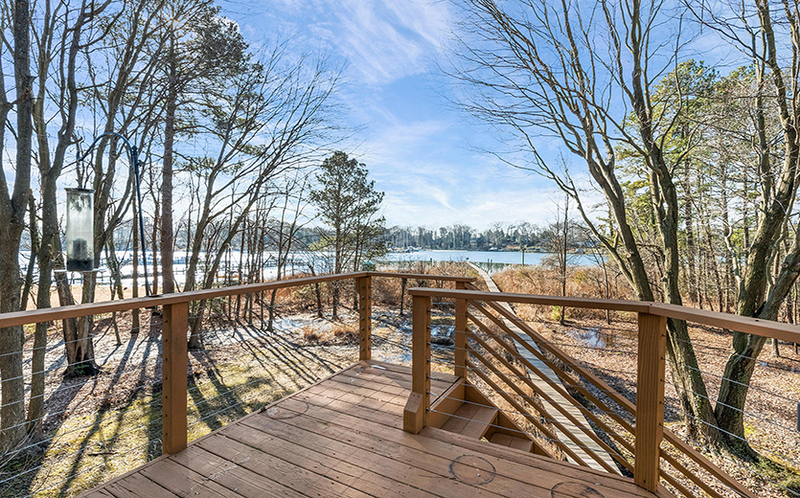 A spacious waterside deck is a tranquil spot to watch the sunset or dine overlooking the water. 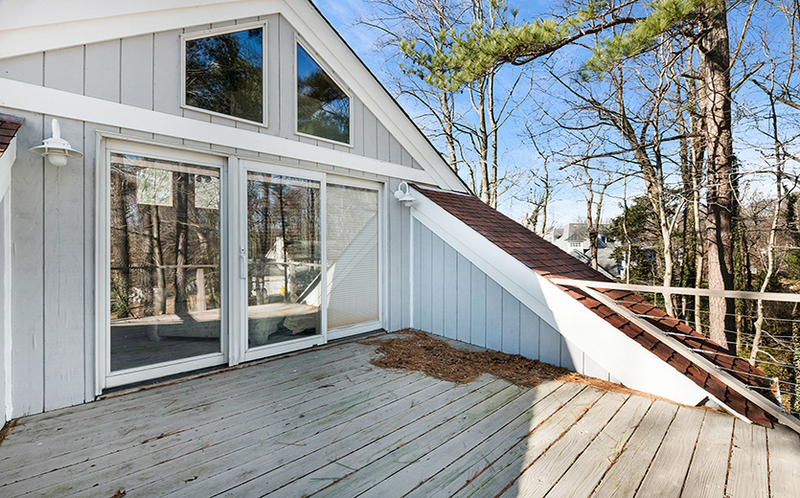 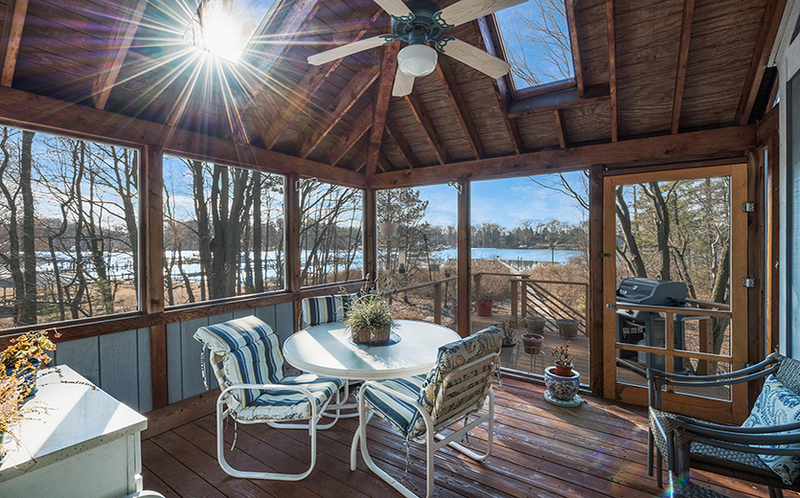 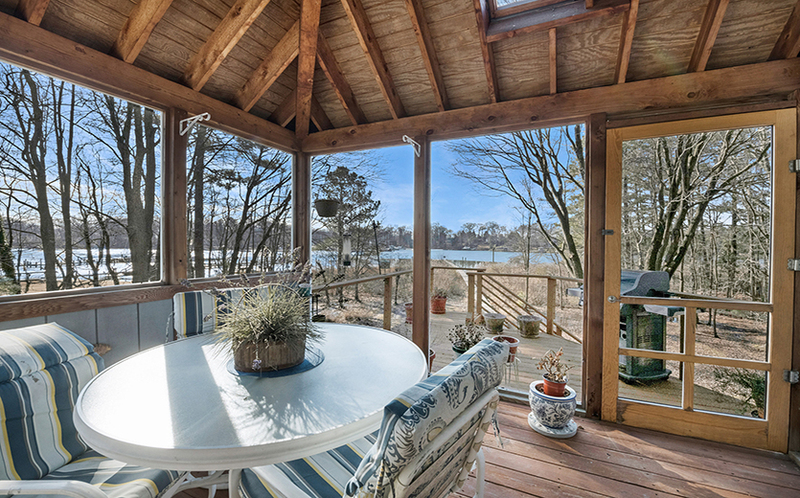 A screened porch provides a comfortable spot to enjoy the views while staying cool. 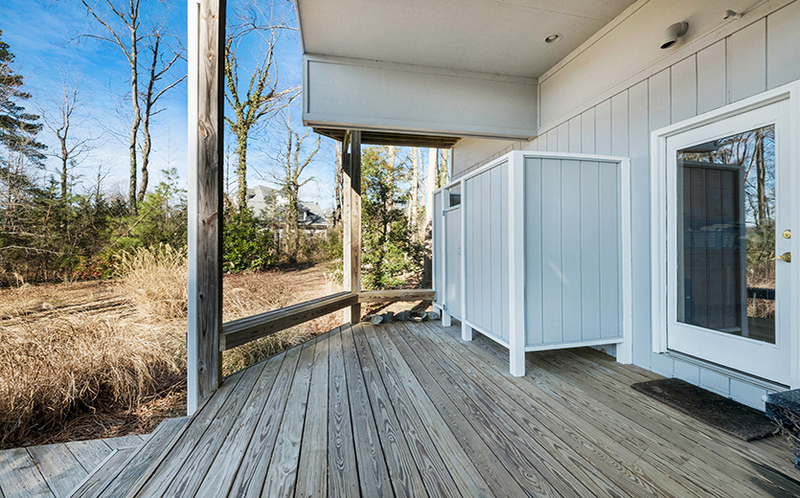 There is even an outdoor shower to rinse off in after a day on the water! 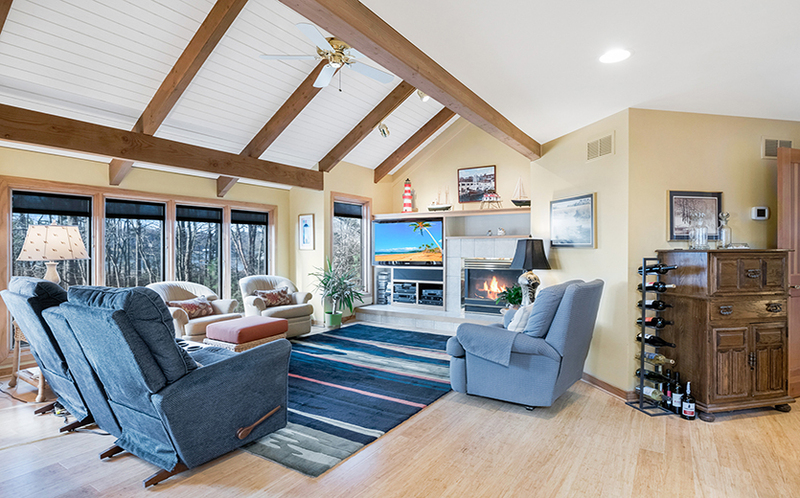 Inside the house, a bright great room has walls of windows and a vaulted ceiling that makes the space feel light and airy. 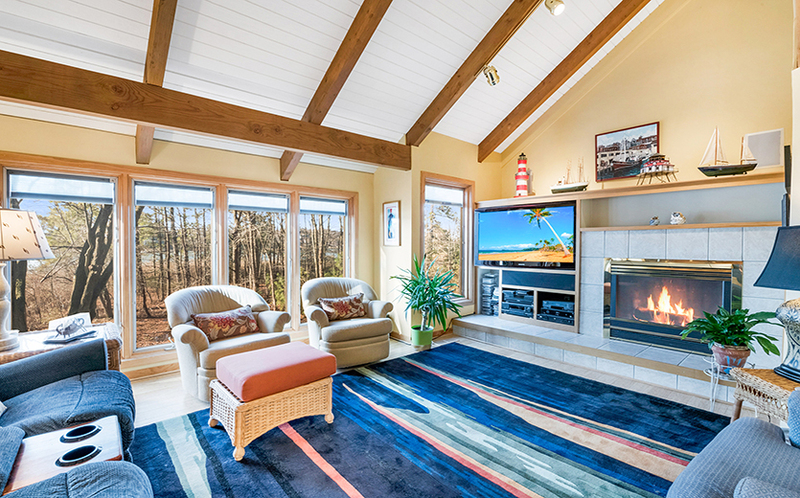 A large gas fireplace with a tile surround keeps the room cozy on chilly winter nights. 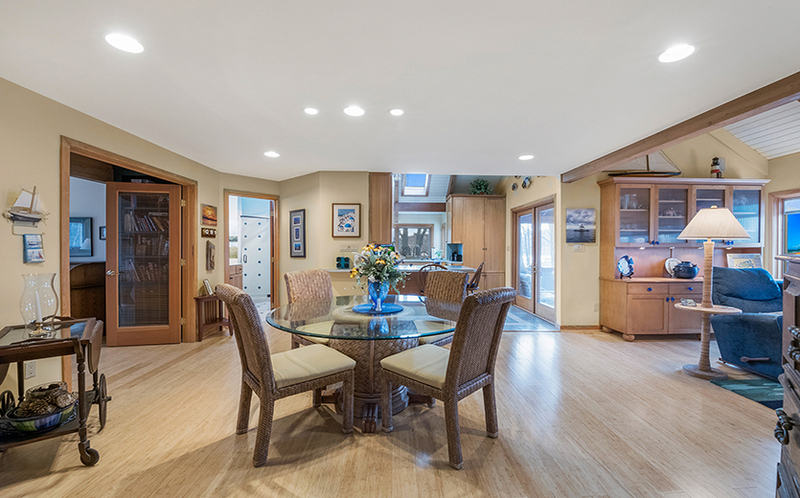 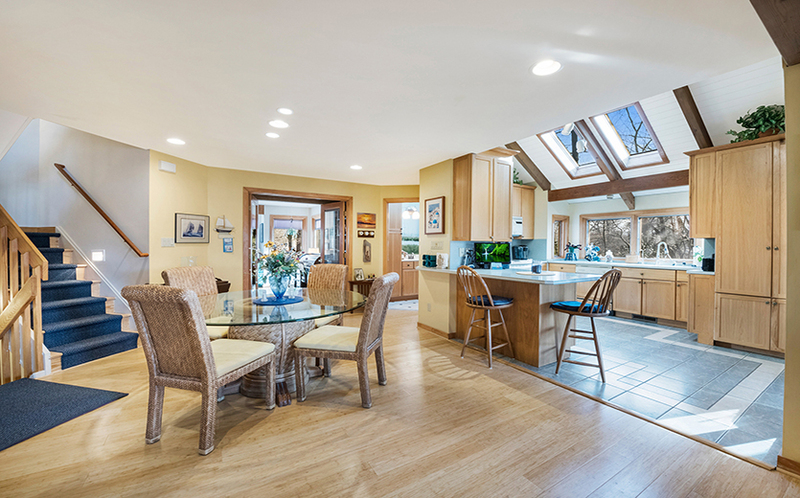 The open floor plan flows seamlessly to the dining area which flows right into the light, bright kitchen. 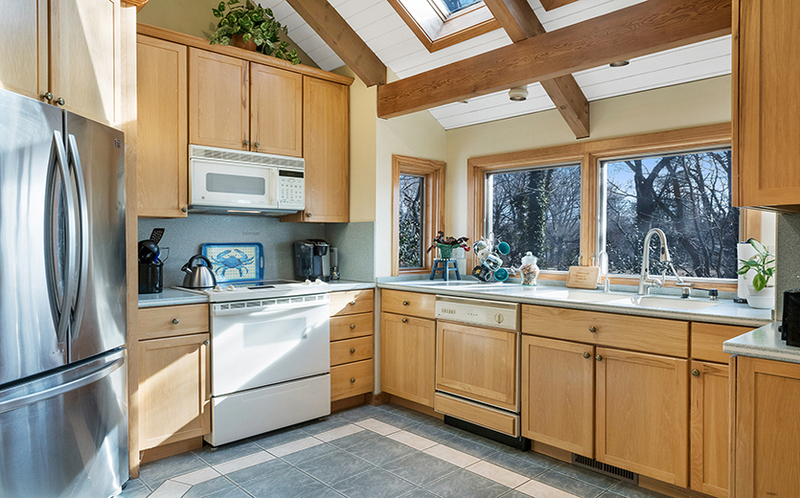 The kitchen has an intricate tile floor, light wood cabinets with lots of storage space, and skylights that bathe the room in natural light. 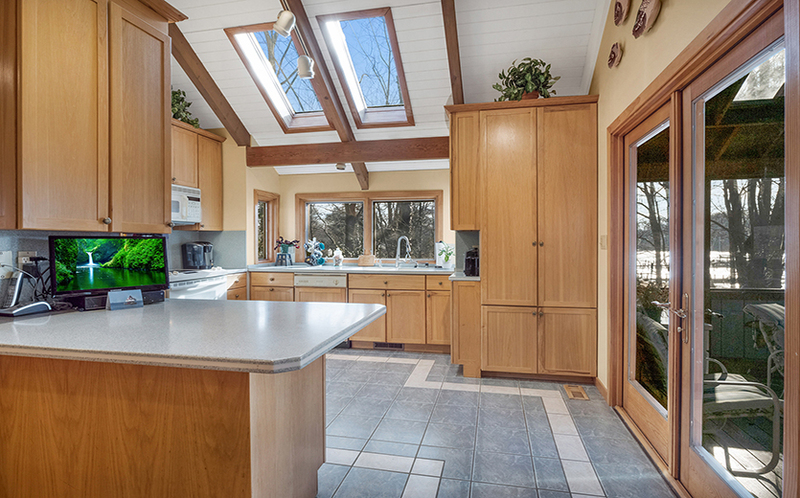 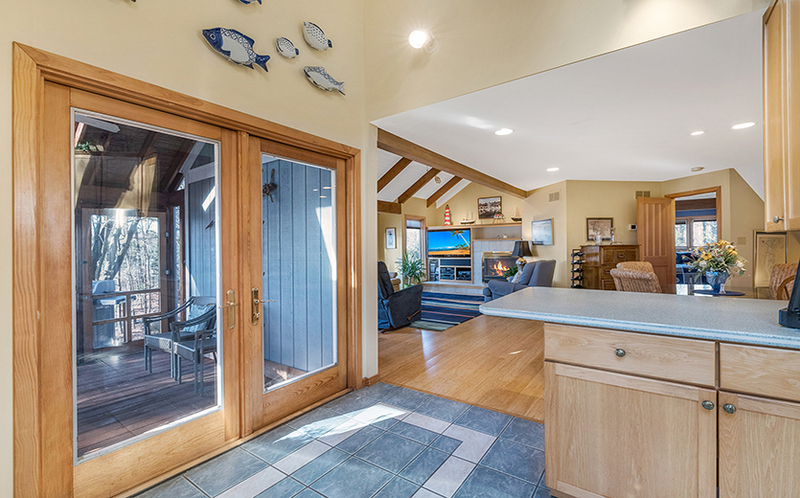 The kitchen is adjacent to the screened porch making it easy to move the dinner party outside! 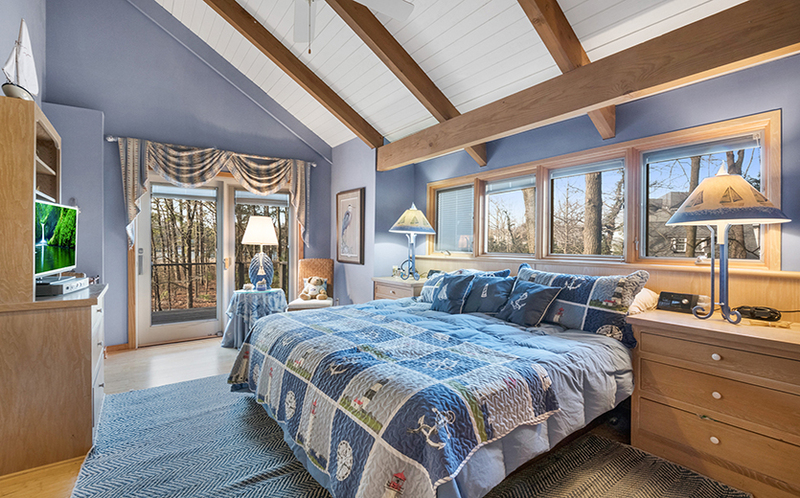 Also on this level, the master suite overlooks the water and has sliding doors to a private waterside deck. 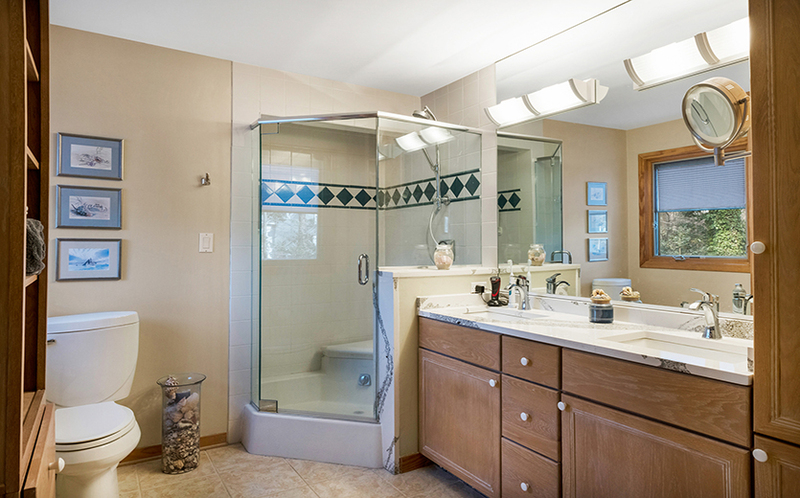 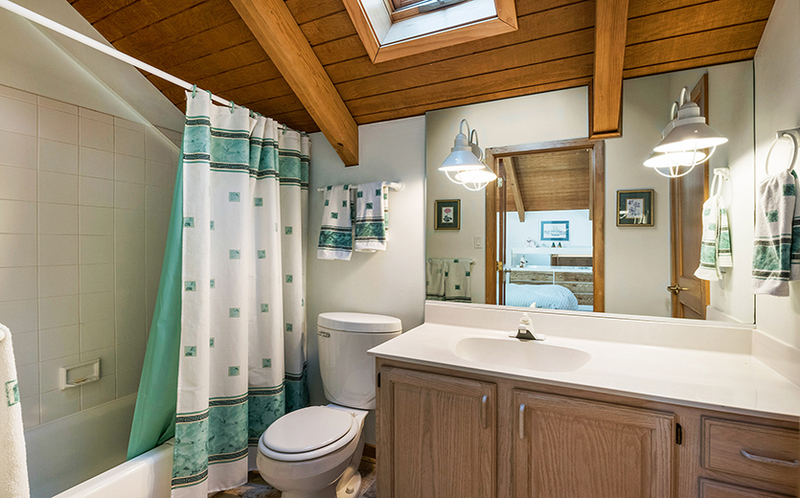 The recently-remodeled master bathroom has built-in storage, a double sink vanity, and a generously sized shower. 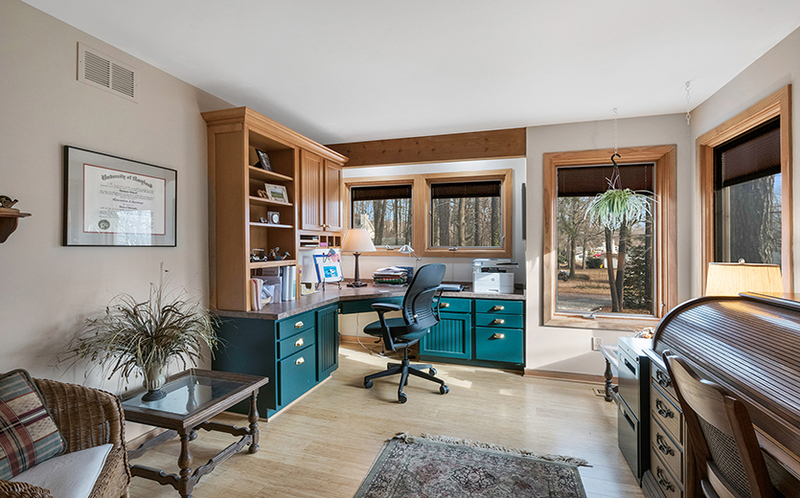 A second bedroom on this level has a built-in desk and shelves and would make a wonderful home office. 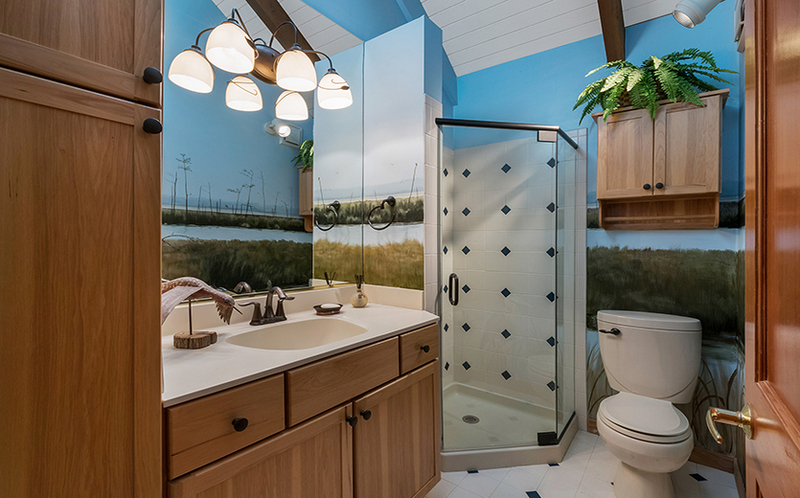 It is adjacent to a full bathroom with a tile shower and Bay-scape mural. 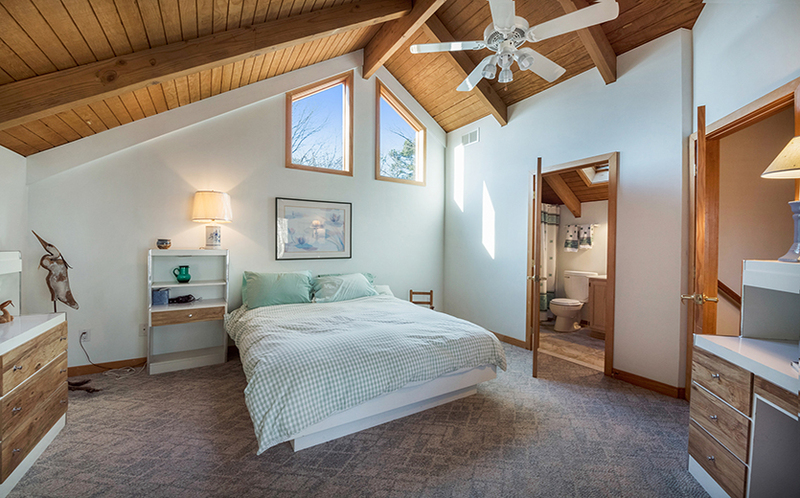 The upper level is a private retreat with an ensuite bathroom and a private, rooftop deck. 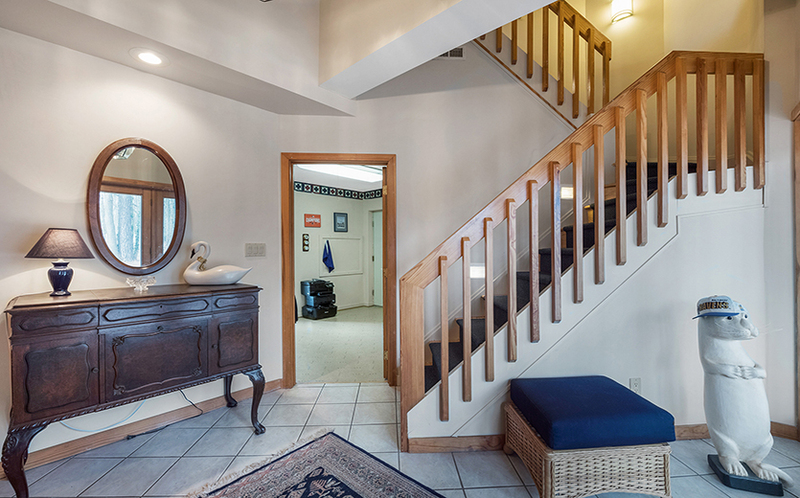 This is a great spot for visiting guests to make themselves comfortable. 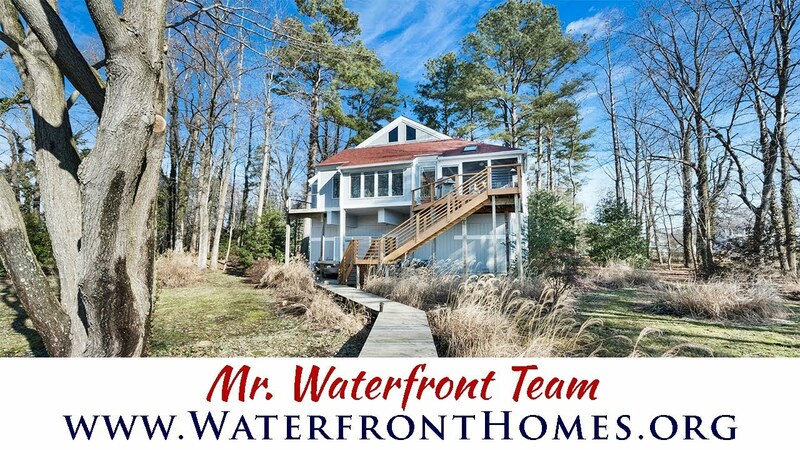 Watch the LIVE video tour or call the Waterfront Experts at (410) 266-6880 to schedule a private showing!